« Pattycake Bakery: Innuendo in the Backroom! I am frequently asked where my passion for food came from. It was a fluke. I was born with a clean plate mentality but there is nothing in my upbringing that would grow a gourmand. My father makes a good apple cake and enjoys cooking but there is nothing about him that is gourmet. My dad’s style of cooking involves a lot of grease as well as very humble and simple ingredients from his rural roots. While growing up a big night out for us would be a trip to Elby’s or Villa Nova. The most exotic food I had encountered until my middle college days was Gouda. As for the rules of fine dining, I had no idea or training in the order of operations for forks, napkin use and etc. On an eighth grade overnight field trip involving a hotel dinner my classmates were quick to point out my lack of refinement in the art of ordering and all things service and manners – my social awkwardness extended to my understanding of anything sitting on a dining table. I grew up eating in front of a TV consuming a fairly narrow range of foods and drinking a lot of Coke. While living with a host family in Australia during a college summer abroad, I was introduced to the art of the family meal and the continental use of tableware as well as how good a fresh beet or sweet potato could be. I had my first glass of wine in Melbourne but these were just novel things and did not start a culinary life (but it did change the rest of me starting an obsession with the land down under that fueled five more extended visits and countless misadventures). The day I walked into the Galaxy Cafe was the day it all changed. I must digress with a some Columbus culinary history. 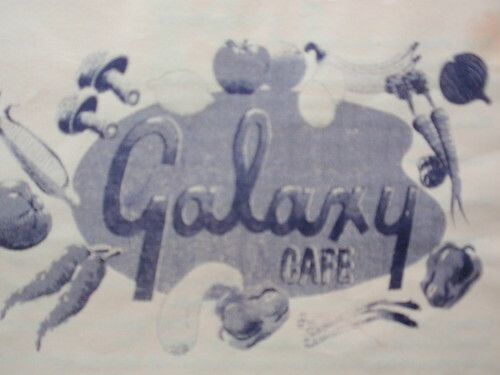 The Galaxy Cafe was in Powell, well off the beaten path. This was a few years before Columbus and Delaware started to merge together and Powell was considered far away – drive 30 minutes for dinner?. Ricky Barnes was one of the owners. There was a falling out with his partner who left to open the Starliner Diner. A grill cook left to start a place called Nacho Mama’s which had a short but fabulous run fueled by fish tacos. These three places brought a new attitude and ingredients to the mainstream of the metropolitan area in the form of plantains, cilantro, black bean hummus, fusions of southwestern flavors and breakfast menus that set diners spinning on their stools. This is also the first time that I had experienced food that was intended to be vegetarian. At the time, the Galaxy Cafe was the only place in town that was quick to play alternative music, hang interesting art and hire tattooed, pierced and painfully cute artsy waitresses (sigh). I came to know Ricky well. I was in heaven when The Galaxy opened in Grandview. The menu was the same but the specials were different and the commute was shorter. A weekly routine developed where eight to ten of my friends and I would hold court for one breakfast and one dinner or more each week in either Galaxy. As Ricky came to know us he would ask us to sample new dishes, solicit us for feedback and occasionally comp us a dessert for our loyalty. The most memorable dish from this era was homemade museli soaked in real cream that served as my morning muse many, many times. 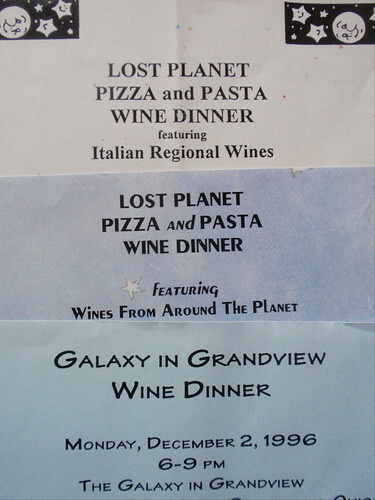 The next development was a third entry into the Galaxy empire called Lost Planet Pizza and Pasta in the Short North. Ricky and company created thin crust pizzas with topping combinations that could not be conceived by mere mortals. An array of pastas were created that blended the favors of Asia, Italy and other diverse locales. It was about this time that Ricky started to offer special wine dinners where a distributor would come in to serve and talk about a selection of wines paired with new dishes that the restaurants were considering. These dinners were always packed with the loyalists of the Galaxy and they remain in my memory as among the best meals I have had. Lost Planet offered a weekday lunch time all you could eat pizza and pasta buffet so I was there on every state holiday (since I don’t work downtown). Ricky started to teach an occasional class/workshop at Columbus State so I took his classes and learned a little bit about cooking. I learned a lot about being fearless in the kitchen by having the courage to cook without the safety net of a recipe and the confidence to say something that was burned was intentionally charred. As with most of my interests I was frequently the sole man in the class and often the only person under 50. Things were great and therefore it was doomed to end. The Galaxy in Powell was sold (it became the first La Tavola – which was awesome). Then The Galaxy (Grandview) was closed. For the final night – Ricky cooked everything left in the restaurant until it was all gone and did not charge a thing. The Lost Planet carried on for a while but faltered. Ricky left town to chef at a resort out west and it was the end of an era. There was a brief rekindling of the affair when Ricky came back to Columbus and took the old Lost Planet space and reopened as Ricky’s Galaxy. The menu was a fusion of the Galaxies and Lost Planet. However, things did not click on round two. The place struggled with staff consistency and had a lot of problems with hiring enough employees. The fans of Galaxies past struggled with having to find a parking spot in the Short North when they were accustomed to free parking lots in the suburbs. There were some bright moments. The highlight was an adobo eggs and jalapeno cornbread dish Ricky had been working on. He nailed it on Sunday August 26th, 2001. It was the best breakfast of my life and I told him so. The day after I went to Ireland with my girlfriend. During the trip I saw that first glimpse of a possibility that the woman I thought I was going to marry might not be “the one”. On the flight home one of the engines failed so the plane turned around and limped back to Ireland. As we were being herded to a hotel to await a flight for the following day we were told that the engine was fixed, a flight crew had been found and that anyone that was going to the United States had better get on the plane in 10 minutes. We scrambled back on the plane. Due to a bit of luck, I made it back to Columbus late on September 10th, 2001, one day late instead of two. Needless to say, the next day was not so great either. I knew I needed to get grounded after that much trauma so on Sunday I walked into Ricky’s Galaxy to find…..a bar, Liz Lessner behind it and that the place was now called Betty’s. In shock, I turned around and walked out. In two weeks the Galaxy had imploded and my universe had changed. The Galaxy Cafe opened the door to culinary curiosity for me. It introduced me to the Short North, Grandview and the world outside of 270. While all of this history was being made, I was recording some of it. I compiled a tomb about my favorite Columbus restaurants called the Good Food Guide. It had a few paragraphs on each place, copies of menus and hand drawn maps. It was very low tech. I would print up batches of ten to twenty at a time to give to friends and anyone I thought would be interested. Most people were not interested. I revised it several times and added information about my favorite places in Dayton and Yellow Springs and elsewhere. There are about 100 GFG’s versions I – IV floating around Ohio. I took one of these to a freelance writing class taught by Shannon Jackson Arnold who was editor at Ohio Magazine. We hit it off so I started to write about food for Ohio Magazine – traveling all over the state in pursuit of my passion. That is the beginning of the story. I am not sure how it ends but I know I there are still many more forks in the road until I get to where I am intended to be. This entry was posted on February 10, 2010 at 3:29 PM	and is filed under culinary knowledge, restaurants. Tagged: Galaxy Cafe, Lost Planet Pizza and Pasta. You can follow any responses to this entry through the RSS 2.0 feed. You can leave a response, or trackback from your own site. Neither of my parents drink wine, yet I’m a wine fanatic and write about it for a living! Goes to show were all a product of our surroundings and not everything is hereditary. This was just lovely 🙂 I REALLY really enjoyed reading this story of Columbus before I was aware of awesome things. Thank you for documenting all this, it warmed my heart! I started at OSU in 1999 and Lost Planet blew my mind! Thanks for the reminder. Great article. I still miss the Galaxy. To this day a pasta special I had at the Grandview location was the best pasta I’ve ever had. I am grateful that we still have Starliner. I loved Lost Planet too! I had no idea of the other restaurants connected with it, so thank you for the history. Back then, I was just a college student who was developing a taste for local and independent restaurants, and it was one of my favorites. Enjoyed the post. I really have a burning desire for Starliner Diner now. Let’s go! I too miss those days and followed Ricky everywhere he went. 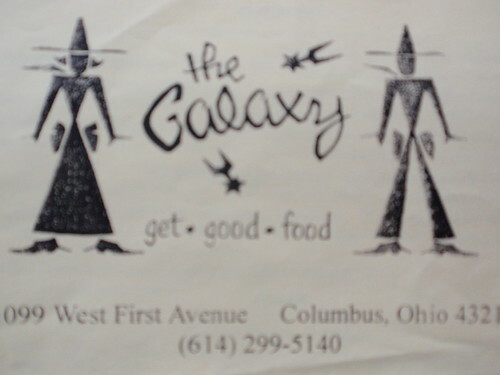 The Galaxy Cafe and my moving to Columbus were around the same time; so any visitor to Columbus was always taken to the Galaxy Cafe for Sunday breakfast. Maybe that’s why old 315 is one of my favorite roads in town – it was the road to heaven. To this day I still make the High Sheriff’s recipe for great, spicy veggies & rice that he taught at one of his classes at Cols State (I’m not a guy but I was under 50) and always had at The Galaxy. He was probably the first chef I met that opened my eyes to the logistics of running a restaurant, about using everything one has (no waste on his part) and to have FUN with it. Do you know where he is now …. doing any cooking? I know he was back in Columbus running a skate shop on Grandview Ave for a bit, but then he just upped and vanished again. I’m waiting for the day that I see an announcement for a reunion of the Hoot Owls – I was a fan of his music before he ever started his restaurants …. I miss them both just as much. Thanks, it was great to read your article by someone which such a similar experience. I’m sorry I wasn’t privy to your GFG, maybe I’ll come across it at 1/2 PB or a thrift shop some day. When I was growing up most things my mom cooked came from a can or box mix and the only “ethnic” restaurant we ever went to was TAT on Livingston Ave. It wasn’t until I was older that I realized how amazing their handmade pastas are. I was lucky to live in the Short North during it’s restoration and live upstairs from from so many great places to eat. My husband and I make a point to stop in and have a drink at Betty’s every time we’re in town – but we loved all it’s previous incarnations as well. Great read. People, history, and food… hard to beat. When the student is ready, a teacher appears….. I loved the Galaxy. Do you remember a pasta dish that had pork, rotini pasta, cabbage, bacon in some kind of spicy cream sauce. We loved that and I would love to re-create it but I cannot remember the name of it. Do you happen to have any of the old menus? I went to graduate school at OSU in the mid-90s. My roommate and I loved the Galaxy Cafe in Powell. Your post brought back fun memories of hungover drives up there for breakfast on sunny weekend mornings. The Galaxy Cafe in Grandview was also my first glimpse into the difference between good food and “moment of truth” culinary experiences. On my 21st birthday, I pulled into the Galaxy’s parking lot for a celebratory dinner, and a Grandview police car pulled in behind me and gave me a ticket for a paltry suburban offence. The staff, watching from the windows and in sympathy (birthday!customer harassment!) gave us free strawberry rhubarb pie and drinks in commiseration. Good times. I wish I could find the brunch dish hey had at the Galaxy in Grandview — Black Beans, Poached Egg, Cornbread, whatever else. Awesome, just awesome. CMHG Response: I ran into Ricky Barnes at a party in January of 2011. He is well – I had not seen him in 10 years. One of his former employees is a sous chef at Columbus Brewing Company and a few Galaxy inspired items find their way on the menu from time to time. 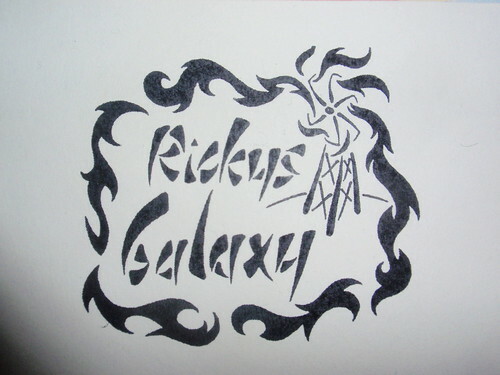 Hi Guys Ricky and the Galaxy is comming back!!!! Real Soon on the south end. more later. Don’t toy with my emotions … time frame? details? old menu items? 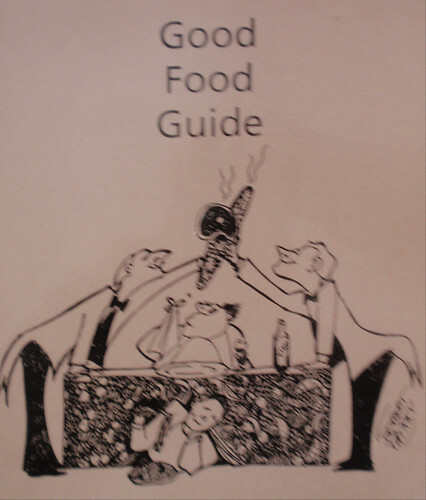 Any old copies of The Good Food Guide in the inventory? Loved this walk down memory lane! I have fond memories of Galaxy in Powell (remember it was next to a shooting range and thus couldn’t sell alcohol?!) Forgot all about Lost Planet Pizza. Thanks for sharing. Columbus is such a great town for foodies and this recapped a lot of where those beginnings came from. In just 25 days or so the doors will reopen. and all fun and memories will come back. and New one made. Thank you for your love of FOOD. Adriana and I had the pleasure of sitting down at the preview/soft open for the Explorer’s Club on South High last night. The magic is back. Great menu, nice space, good music/art/service. Everything was delicious and we’re thrilled to have Ricky cooking again in Columbus! Starting next Friday they’re open for good.